Growing up in Perth, Liam developed an interest in theatre from a young age. After travelling the world and living in Melbourne for a period of time, Liam settled in Sydney to commence study at NIDA. Passionate about stage management, Liam has had the opportunity to work across numerous productions whilst studying at NIDA. During his final year, he has spent time with several companies on secondment across Australia in a range of genres including contemporary dance, theatre, and musical theatre. Liam is now working professionally in stage management across a number of productions including Singin’ In The Rain, The 2016 Helpmann Awards, and Disney’s Aladdin. In addition to this he toured the sold-out 2015 production of UNEND to the Adelaide Fringe Festival with Never Never Theatre Company, a company he formed with two other NIDA students. 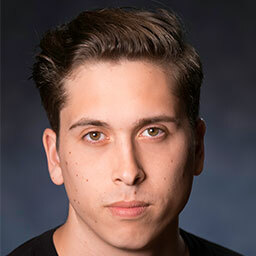 Upon graduation he hopes to make new connections and contribute as much as possible to the Australian theatre industry.